This research point is to investigate the diversity of style and design in textiles available to the consumer. The diversity of style and design available to the consumer is staggering. One only has to browse magazine displays for fashion and home interior magazines to see the huge range of materials available and this is only part of the story as there are specialist textiles available for sportswear, outdoor activities, medical applications, industrial and military uses amongst others. Some of these distinct categories of textile are experiencing cross-overs from one category to another and a blurring of the boundaries. Chloe Colchester in Textiles Today refers to this as being called the NASA effect which is “the process whereby significant innovations developed for military or aerospace industries are then re-adapted for civilian use”. Spider silk is an example of an item for which research is being undertaken for military applications and may well lead into the production of other clothing items. Kraig Biocraft Laboraties has been creating genetically engineered spider silk fibres after initial research showed that spider silk is 3 to 4 times tougher than Kevlar and with a tensile strength in the range of 1,100 to 2,900 compared to 300 – 2,000 for steel (note 1). Kraig Biocraft state that they believe that one of their developments, Monster Silk will make “significant inroads into both technical textile and mundane silk and apparel markets”. An example of a crossover from an industrial use to now being available to the general consumer is Tyvek, originally produced by DuPont in 1955 as a protective material for apparel, with coveralls being a common item where disposable one-time-use items are needed. It has since become more widespread in applications for mail packaging, wristbands and clothing. 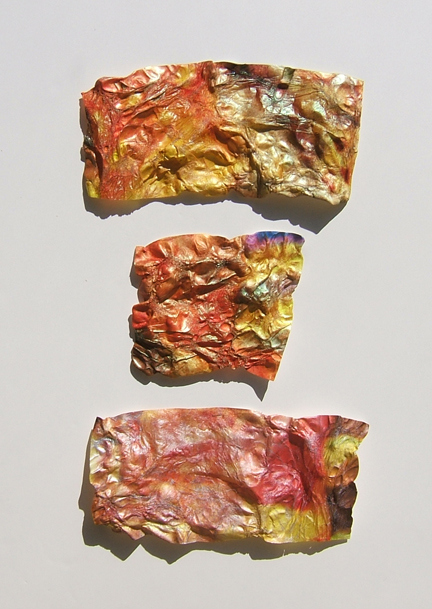 For the textile artist Tyvek comes in a range of thicknesses that can be painted, stamped, bubbled with a heat gun and manipulated to form works of art. 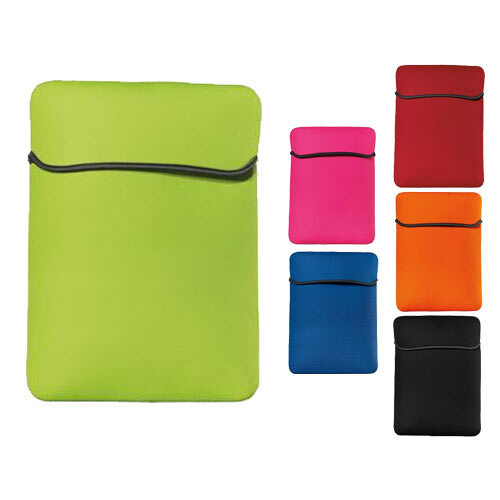 Neoprene is an even older textile dating back to 1930, again by DuPont. Commonly used for wetsuits, this material has more recently become available to purchase in fabric stores for use in home dressmaking and as shock resistant casings for laptops and other devices. Some fabrics that have been available to the consumer for years are still undergoing change and innovation as Mahesh Shaw writes in an article titled Denim Fabrics: Recent Developments January 2015 www.fibre2fashion.com. Denim was originally designed to be used for work wear, but its switch to high fashion and popularity across gender, age groups and profession has led to manufacturers innovating for comfort, performance and environmental friendliness. Comfort is in the form of stretch denims, with lycra and spandex incorporated into the weave. Synthetic fibres are blended with cotton to improve performance in giving better abrasion resistance, so producing a more durable fabric and experiments with bamboo, hemp, rayon are being undertaken to give denim a softer feel for clothing. In addition to the feel of the fabric, fancy yarns are being incorporated into the weave. Manufacturers are also trying to become more eco-friendly with low impact dyeing and different methods for desizing fabrics using enzymes instead of chemicals and also to get the fading effect and bleaching. The trend towards a preference for natural fibres as being eco-friendly is sometimes a dichotomy as natural fibres are not necessarily produced in environmentally friendly ways. For example, an article on The Future of Textiles (www.advantage-envronment.com, Oct 2013) states that one plain cotton t-shirt takes 2700litres of water and 150g of chemicals to produce. This article mentions that research being done into more environmentally friendly textiles such as using cellulose fibres from the eucalyptus tree and digital printing on jeans to make them look worn in rather than dyeing and stone washing. Bamboo and hemp are other natural fibres based on cellulose but chemicals are still used to make the fabric soft. In Textiles Today Chloe Colchester likens this consumer awareness about the eco-friendliness of textiles to the food industry where people are becoming more concerned about buying local and where food has come from and states that “a more holistic approach to design…a broader concern with materials, systems and the consumption of energy – has started to be regarded as good design practice”. The topics of cross-overs from industrial to domestic use and the eco-friendliness (or not) of textile production are large enough to form dissertations in themselves and are only mentioned above briefly to give examples of the diversity of textiles. For the remainder of this short review of the diversity of style and design in textiles I am now going to look specifically at the Australian textile industry. Image of dress by Akira Isogawa from Powerhouse Museum. The use of silk as a fabric of choice is also visible in the collections of other Australian designers like Nicola Finetti and Collette Dinnigan. Use of natural fibres is very popular both with fashion designers and with textile designers and apart from silk, help, cotton and linen feature heavily in Australian collections. Western Australia has a specialist hemp company the Margaret River Hemp Co that produces a range of womens, mens and childrens clothing, bedding and other textiles. 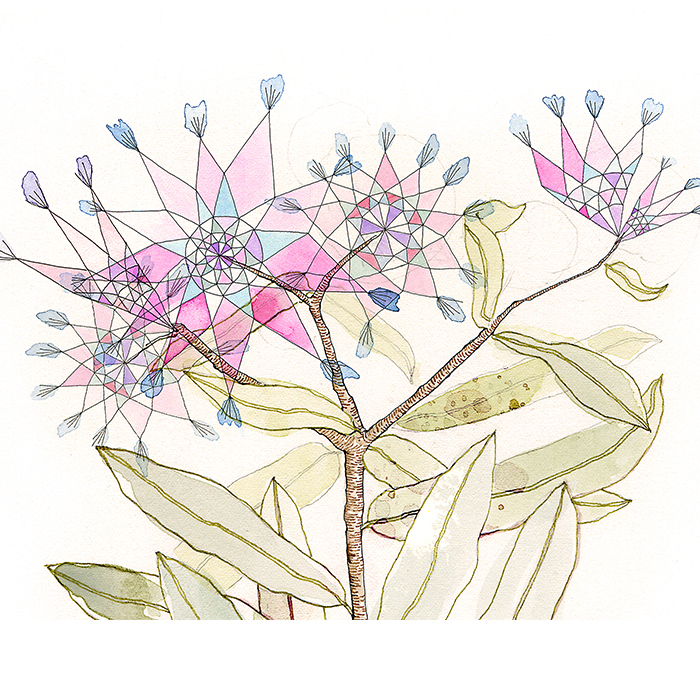 Other companies using these natural fibres marry the choice of fibre with designs based on the natural flora and fauna of Australia such as the leaf series from Frankie and Swiss or the fabrics available by the metre from Ink and Spindle. Funky Wombat Textiles do a range of wallpaper alongside their fabric textiles, with their Birds in the Woods design featuring Kookaburras. Image of “All before and all to come” print from Frankie and Swiss. 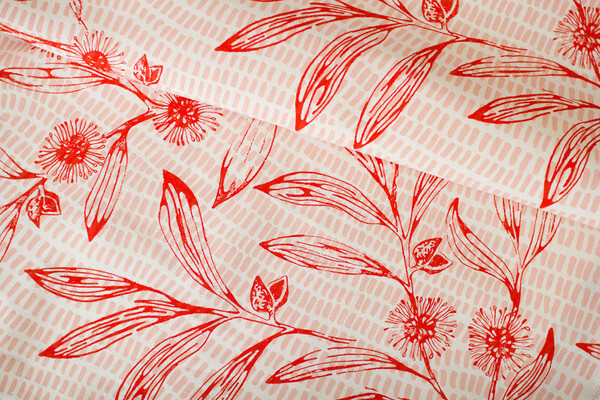 Image of Hakea fabric by the metre from Ink and Spindle. 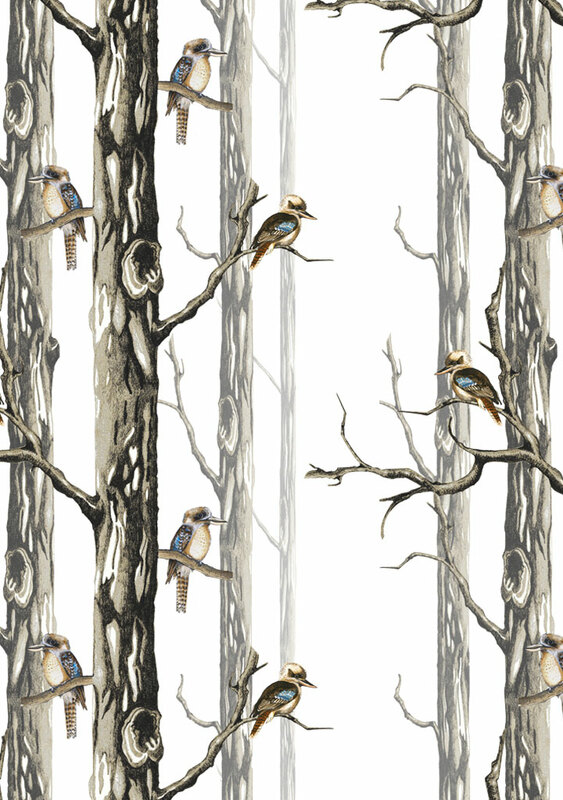 Image of Birds in the Wood wallpaper from Funky Wombat Textiles. Indigenous prints are a unique feature of Australian design and appear on every form of clothing and household textiles. 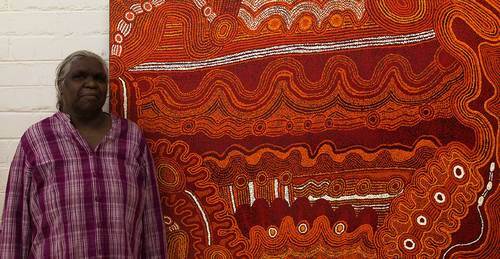 A number of companies exist in collaboration with Aboriginal communities for the design and production of indigenous textiles such as Tiwi Designs and Ernabella Arts. M&S Textiles Australia claim to be the world’s largest and leading manufacturer of Aboriginal design fabrics and they work with 100% cotton. 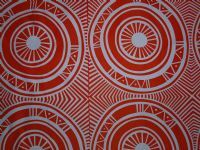 Image Wanarringa Sun from Tiwi Designs. Indigenous designs are based on traditional body painting and dot art (pointillism) featuring many totemic symbols particularly of animals or representing stories from Aboriginal Dreamtime. Each design has a story behind it which makes these textiles especially interesting as the designs have meaning as well as colour and line. 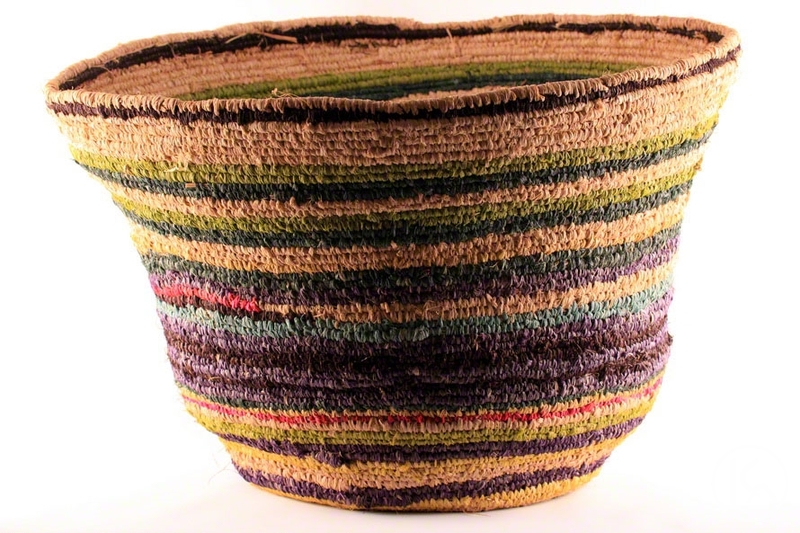 Non-fabric indigenous textiles are also popular but mainly for the tourist industry rather than for everyday use, and these use natural plant materials such as kurrajong, banyan and pandanus fibres for weaving into baskets. From the investigations I have done for this Research Point it appears that Australian made textiles available to the consumer trend towards being very naturally based, with natural fibres, natural designs and culturally significant designs being at the forefront of design. With the lack of trade boundaries this does not limit the diversity of style and design available to the consumer in Australia in comparison to say the UK or USA; limits are only determined by what the consumer can afford to purchase. 1. Tensile strength refers to the greatest longitudinal stress the spider silk can bear, measured by force over area in units of newtons per square meter. The measurement here is in millions of pascals. Thank you for featuring my blog. Really beautiful post!